All You Need is Love: It's Tuesday - What To Say? There really are no rules for Post-It Tuesday. You can use then however you want. For example, using post-its as b!&@h notes....awesome idea! Makes me think of the V8 commercial! 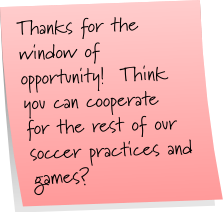 Post-it notes can also be used to spread some humor around the room. And maybe even let people know to leave you alone! 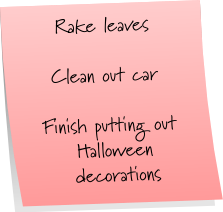 And since Mother Nature is being so nice for letting me get to my to-do list, I'd like to slap this on her head. That is assuming she doesn't turn into the b!&@h she can be and decide to blow me it off. I really do complain about Mother Nature a lot. Maybe she deserves her own label! you and leaves.. it just never ends huh? Epiphius has the cats, you have the leaves. It's like your signature scent. How bout how nice it is today???? yesterday??? what in the world??? MnM WAS ALL LIKE.. it snoooooooweed.. I like your "I'm not here right now" note..too funny. I need to plaster that one on my forehead. 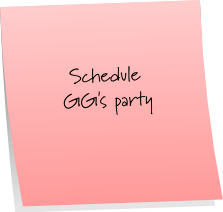 OMG that's my post it note! My mind wanders and sometimes leaves. 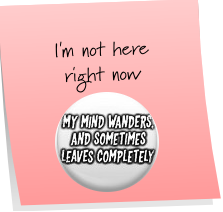 I totally need to find that on a button or key chain. I had 2 key chains on my keys and 1 finally fell off. The one that fell off said "I smile because I have no idea what is going on" and the one that stayed on says "I do what the voices inside my head tell me to do"
Sorry, see 1 post it note got my mind racing and this crazy comment. 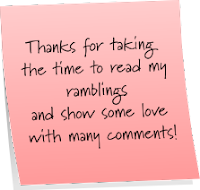 OKay your post it inspired me to write a whole post just now. 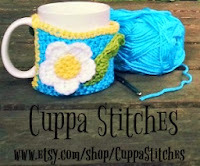 I copied one of your post it notes, I hope you don't mind, But I totally gave you credit and linked to your blog. Thanks for inspiring me. I've gotta go search now for the that key chain. My mind leaves me often too... I wonder if they hang out together!! Thanks for dropping by! I got a kick out of the v8 post! Should've had a V8! Hilarious! Why haven't I seen one of those commercials in while?! 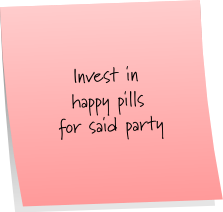 Awesome use of post it's this week ;) Could you please send over some of those happy pills when you get them?? Excellent posties. Looks like you need extra happy pills. We all want some!